In order to prevent clutter in your office room, here are a few tips to keep things neat and tidy. Always keep your desk well-organized. Every office room will have lots of stationery; From paper clips, to rubber bands and stapler pins, you would need to ensure that they are stored in a place that is easily accessible. 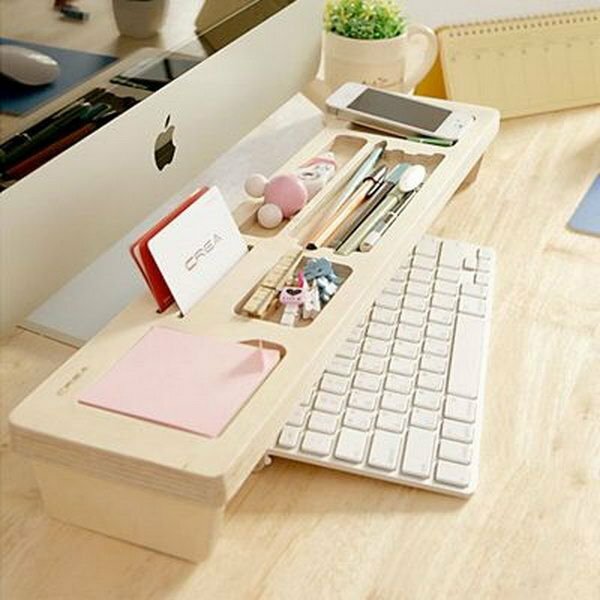 Get yourself a desk organizer in order to prevent the clutter. Alternatively, place partitioned storage trains in your drawers to keep your stationery organized. Any office room is likely to have wires on the floor, as you have will have items such as your personal computer, chargers and other electrical items in the room. Keep these cords out of the way by using a wire dispenser or cordlet. This will also prevent your cords from getting tangled. If you have a lot of files, it is best that you get yourself a filing cabinet which incorporates both organization and accessibility, as you can place your files in alphabetical order and have them at hand when needed, whether they are relating to bank statements, bills or other documents. Ensure that you have enough work space on your desk by getting a personal computer that will fit on our desk. You would need to ensure that your table top is completely free of items that you don’t always use.